I seem to have a love/hate relationship with mornings. 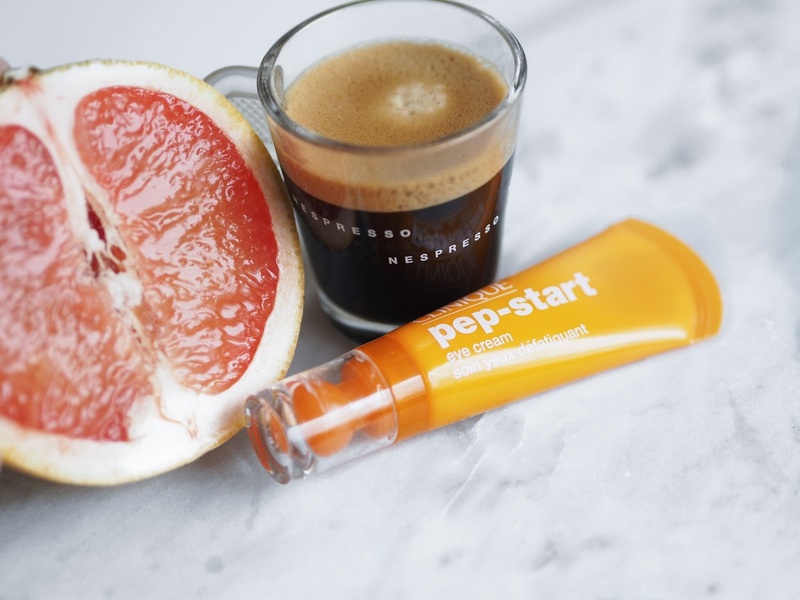 I'm a real early bird & completely lack the ability to have a lie in (much to the annoyance of Chris), however, I don't always feel at my optimum self in the mornings and need a little help to get going. I often feel very frantic in the AM, more so on a work day when I can't be a lady of leisure. I'm usually trying to slap on a full face in-between feeding the cat, emptying the dishwasher, making the bed and trying to bring myself into "the zone"- usually in the form of coffee but I felt as if I needed a bit more somethin' somethin'. I've discovered a little gem that makes me look and feel a little more human on those days. I was lacking an eye cream in my skin care arsenal - just something that would smooth and de-puff and make me look more awake as well as acting as a good base for concealer and powder. I picked up Clinique Pep-Start Eye Cream and I have been pleasantly surprised. At a purse friendly £22, I was skeptical of it's claims to brighten, de-puff and hydrate (all in 3 minutes) but daaammmn, the guys at Clinique have really pulled it out of the bag with this one. First up, the ingredients do pack a punch. It contains Acetyl Hexapeptide-8, which is a synthetic peptide that wards off fine lines and wrinkles (I'm departing my early twenties so please give me strength). 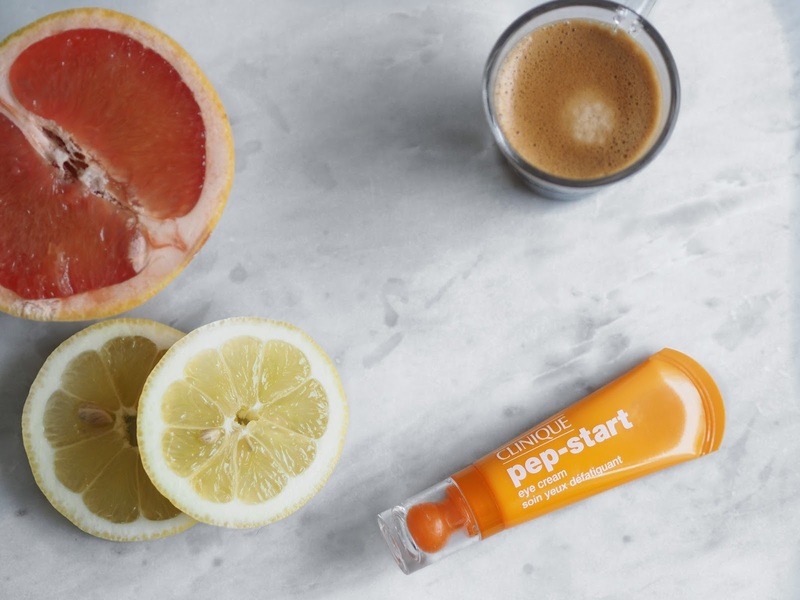 Caffeine is also present, which applied to the skin, de-puffs any bags and Algae, which is known for it's brightening properties too. The applicator is glorious too, you squeeze the tube and the product comes up from the rounded applicator, which is prefect for massaging the cream in. My eye area can be so sensitive and eye creams can really sting and actually dry out the skin but this one doesn't. This really does cool and soothe aggravated eyes and concealer no longer settles into fine lines. 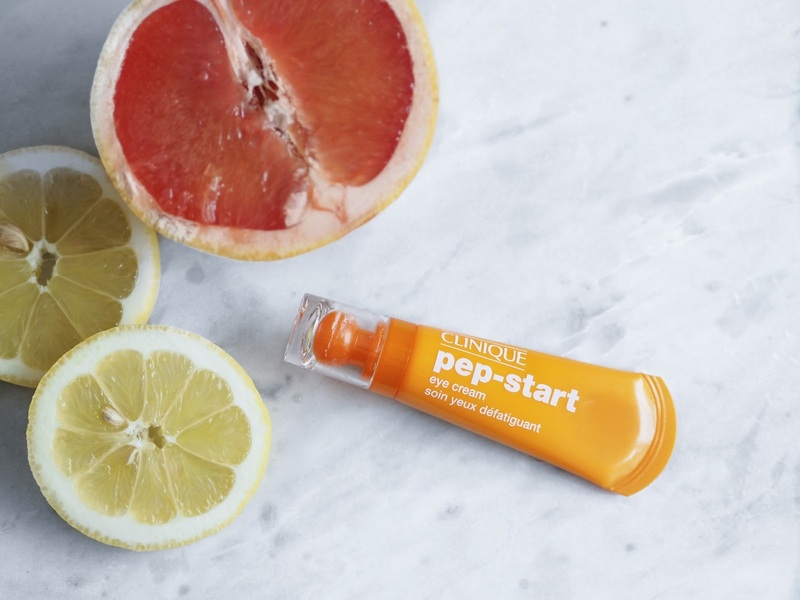 For a no-fuss, does-what-it-says-on-the-tin job, I would whole-heartedly recommend giving Clinique Pep-Start Eye Cream a go.